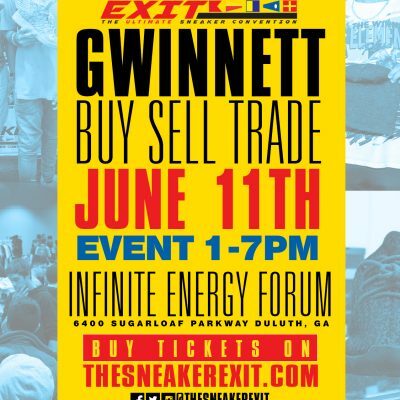 Purchase a vendor table now! The first 100 general admission attendees to enter the event will receive a free poster, accessory, and raffle ticket. Select one option from a phone case, additional lanyard or button. VIP shoe raffle of a Jordan or Adidas sneaker. One free play on the Key Master Machine. Free item will be announced the day of the event. 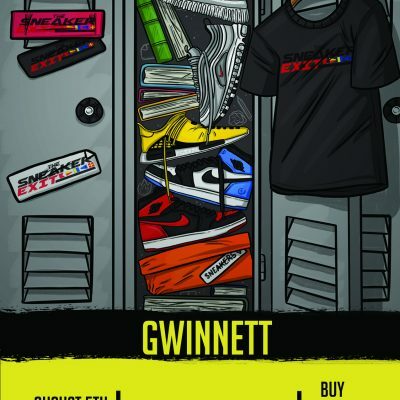 A Sneaker Exit shirt, five free items, and entry into the event is a total value of over $100! Enjoy our ultimate sneaker experience with our VIP Ticket! Limit on sneakers you can bring. There is no limit on how many shoes you can carry in. 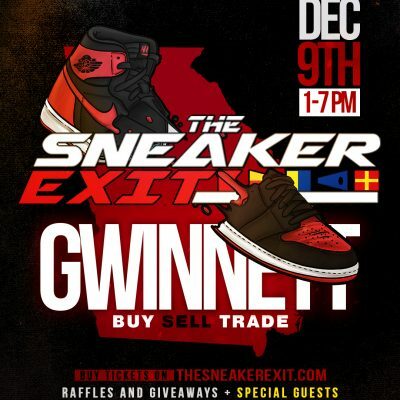 NO suitcases, rolling racks or bags, or large bins are allowed in The Sneaker Exit. Can i pay cash for a ticket? 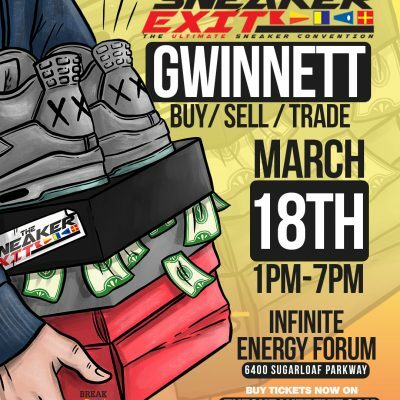 Tickets will be available at the entrance of The Sneaker Exit for $20 cash. Do i have to pay for my young child to get in? Children age 8 and under can enter for free.